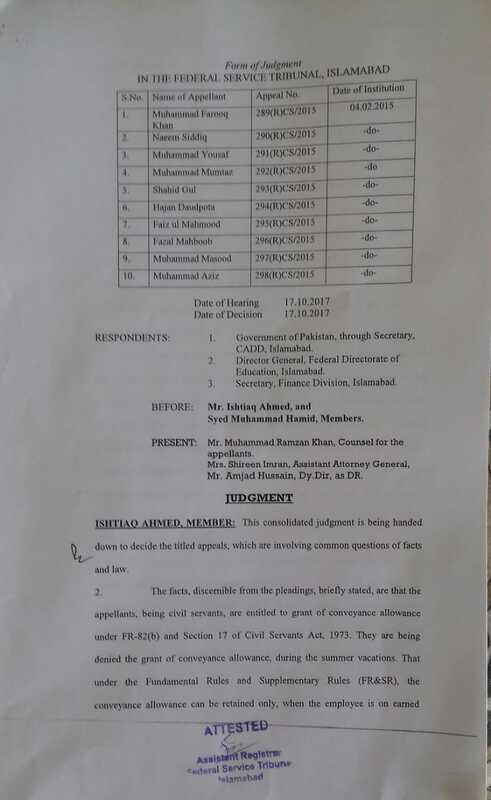 The facts, discernible from the pleadings, briefly stated, are that the appellants, being civil servants, are entitled to grant of conveyance allowance under FR-82(b) and Section 17 of Civil Servants Act, 1973. 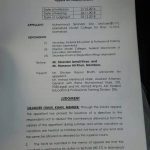 They are being denied the grant of conveyance allowance, during the summer vacations. That under the Fundamental Rules and Supplementary Rules (FR&SR). 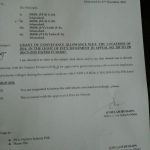 the conveyance allowance can be retained only. 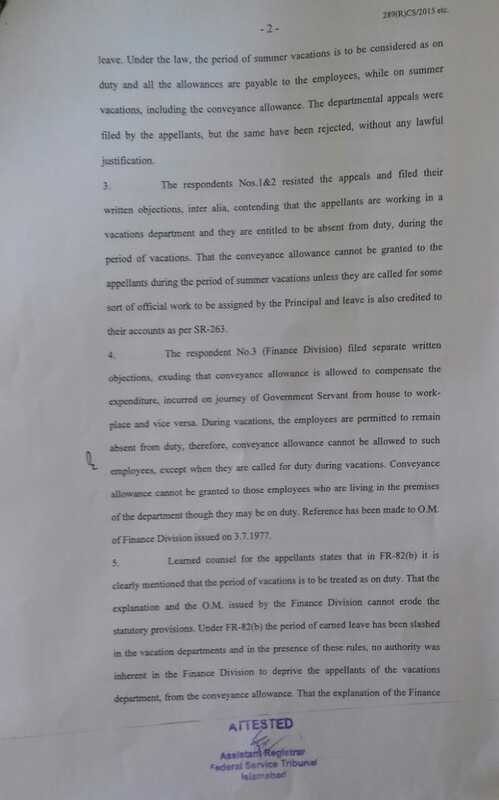 When the employee is on eared leave, Under the law, the period of summer vacations is to be considered as on duty and all the allowances are payable to the employees, while on summer vacations, including the conveyance allowance. 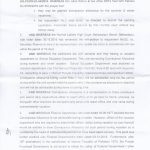 The department appeals were filed by the appellants, but the same have been rejected, without any lawful justification. 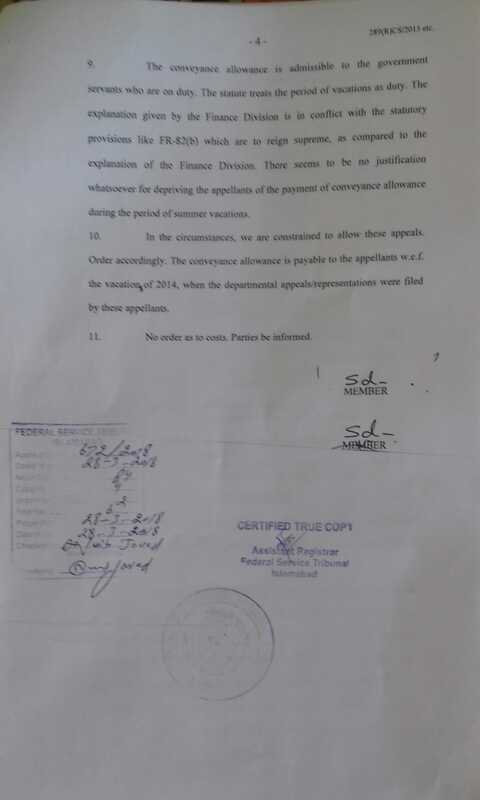 The conveyance allowance is admissible to the government servants given by the Finance Division is in conflict with the statutory provisions like FR-S2(b) which are to reign supreme, as compared to the explanation of the Finance Division. 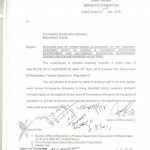 There seems to be no justification whatsoever for depriving the appellants of the payment of conveyance allowance during the period of summer vacations. In the circumstances, we are constrained to allow these appeals. Order accordingly. 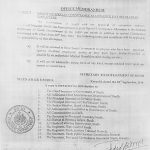 The conveyance allowance is payable to the appellants w.e.f. 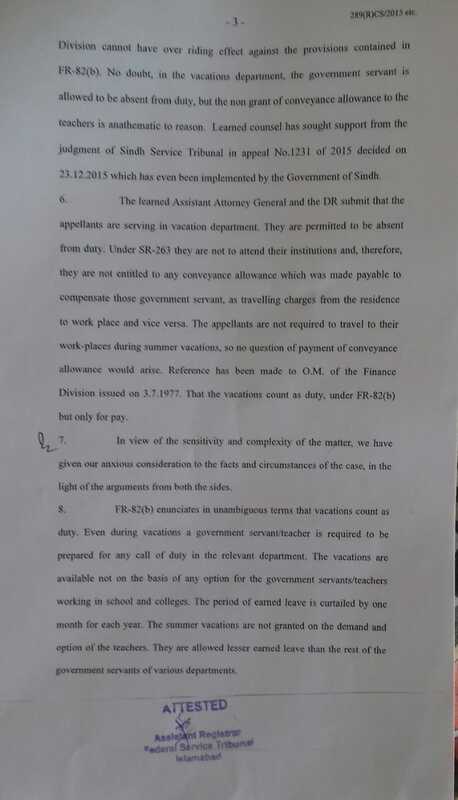 the vacations of 2014, when the department appeals/repetitions were filed by these appellants. 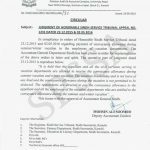 Special thanks to Mr. Rana Muhammad Zahir for sending the copy of the decision of Conveyance Allowance Admissible During Vacations.